Mizuno Wave® Technology - a biomechanically-engineered midsole that resists overpronation, thus relieving stress on ankle and knee joints. 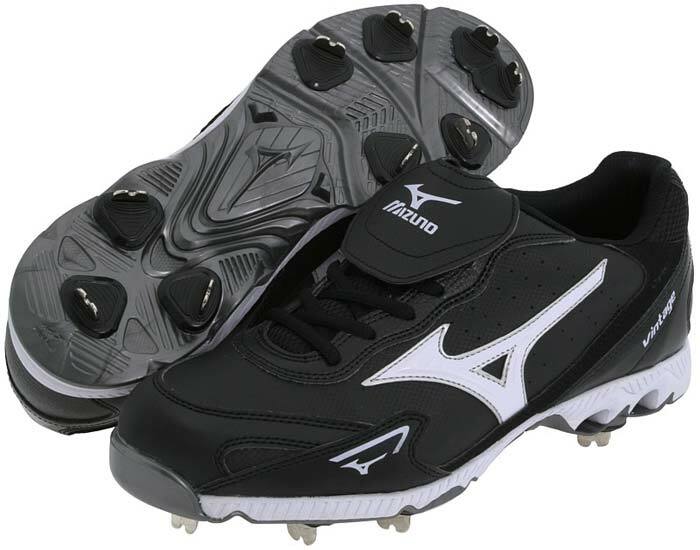 Dynamic Synthesized Leather™ (DSL™) and mesh upper with lateral stiffening overlays for support. Padded collar with classic fold-over tongue. Parallel Wave® Technology disperses impact forces uniformly over the length and width of the midsole for unrivaled cushioning and stability. Full-length EVA footbed provides incredible shock absorption and overall cushioning. Durable body construction for comfort. Forefoot Flex response with *ProFlex™ multi-zone flex points. Patented 9-Spike™ configuration that's lightweight, comfortable while providing aggressive traction and stability.